Google Inc. is a tech company that operates globally offering services such as search, advertising, enterprise, operating systems, as well as other hardware products. Employing over 53 000 people, a revenue of over $66 billion was recorded at the end of the year 2014. A net profit of over $14 billion was also recorded which gives about 11.8% increase over the previous year’s profit. In the search engine market, Google can be said to have the significant share of the market. Constantly upgrading their search engine technology, they left no chance for their competitors, leaving them behind in popularity. Google still holds the majority of the market shares with despite the efforts of its competitors. 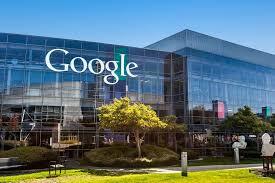 Google acquired Android which broke them into the mobile operating system. Recently, there has been a massive increase in the use of cell phones which has, therefore, provided an excellent platform for Android. Android made use of this opportunity and seized the mobile market-beating its rivals that include BlackBerry, Microsoft, and Apple to become the supreme power in mobile OS. With over 1 billion active users and holding 83% of the market share, there is no doubt about their supremacy. Being the first Open Handset Alliance’s OS, it is run on a lot of flagships mobile phones from top phone producers such as HTC, Samsung, and the likes, as well as other low end priced phones. Android’s availability to both rich and the poor gives them an advantage over others such as Apple whose OS only operates on a single phone which is quite expensive and inaccessible to the lower income earners. About 90% of the revenue generated by Google yearly comes from advertisements (PPC). The expenditures of companies on adverts depend on a lot of factors which includes the economic condition, the buying patterns as well as the budgeting of the enterprise. Anything affecting the economy can have a negative impact on the demand for advertising which in turn affects the revenue generated by Google. Even though Google is leading search engine in the world, they have recorded some failures when it comes to social networks. Their attempts started in 2003, and it has been overshadowed by bigger players in the aspect such as Facebook since they came into play. Their most recent attempt is Google plus which started in 2011. Alphabet was announced in 2015 for the basic improvement strategy of Google. Google will, therefore, be a subsidiary of Alphabet among other companies that will be under the control of Alphabet such as Life Sciences, Calico, among others. This will ensure that its core activities are focused. There is an expected increase in the demand for smartphones and tablets in the coming years. According to statistics, shipments of smartphones will reach 1.7 billion in the year 2018. Recently, consumers have been shifting their attentions to specific apps for their searches. This is a threat to Google’s general web search platform. This will bring a reduction in their traffic and will also take prospective advertisers to those sites as their sites are now more attractive to the users. There have been allegations against the company about abuse of power. According to The European Commission (EC), the company lowers the ranking of outstanding competitive results. This is only one among numerous allegations against the company. Google has been on its toes in keeping up with the intense competition coming from different angles. In their line of business, there is the need for the frequent introduction of new services and product. There is competition from every aspect of their business from the search engine to the social networks, as well as other advertising networks using television, radio, and others.